This entry was posted on November 27, 2012 by Robyn Lee. 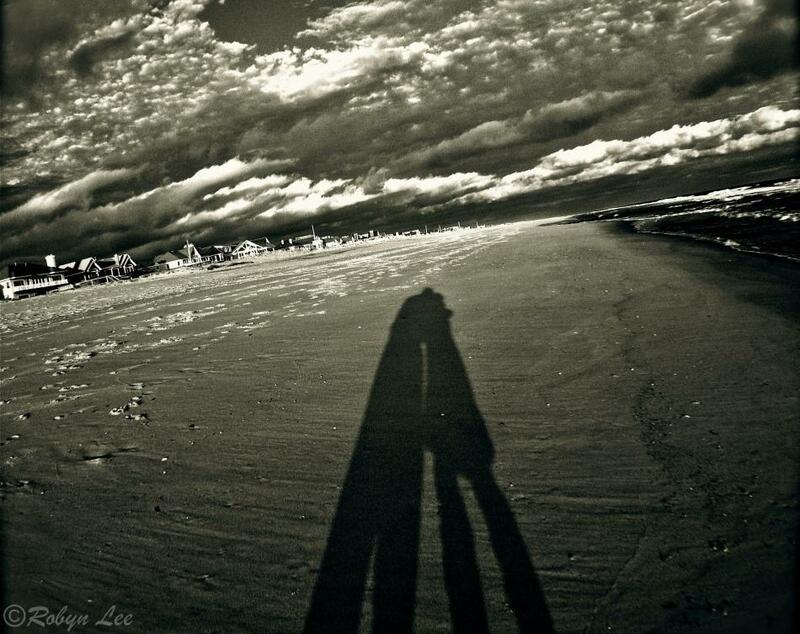 It was filed under Pain Shadow Series, Romance, Spiritual and was tagged with beach, clouds, dreams, escape, haiku, kiss, Love, magic, nature, nightfall, passion, photography, poetry, Robyn Lee, Romance, sand, sea, seclusion, shadow, spirit, support, suspended, wind. It must be wonderful to live on the beach Robyn! Beautiful photo. You are poetry in words and pictures. This is beautiful. I love clouds. Robyn, I hope you are feeling better. You are in my thoughts and I am always in awed of your talent. You are such an amazing bright soul..leading the way for so many. Much love! Thoughts and prayers to you, darling! Always! I love the angle of that photo! Love the shadow silhouette. This image is perfect in a monotone. Sorry the hear about the touchpad issue, hope it recovers once it’s dry, but I wonder if the moisture might have ruined it completely? I can relate to your frustration at not being able to do photo work though. I love the Mac, but I have to keep ‘thinking’ all the time – using it isn’t easy or quick (yet). I just love that screen resolution though – modern technology is amazing. The Mac Pro laptop was worth every cent, just need a bit more practice. That photo is very spooky looking. I liked the simple poem to go along with it. I love kisses that last a lifetime. I’ve been so lucky in life that I have a few. Love rules! Thanks Robyn! I spent a lot of my childhood at the beach so enjoy these immensely. And thanks for letting us know about “My Body Broken ” by Linda Greenberg. I can’t put the book down just picked it up from the library a few days ago. I thought of you when I went skiing-another “thank-you” for the encouragement, my friend. Live, Love and Laugh! soft and sweet…..the clouds like cotton-candy.